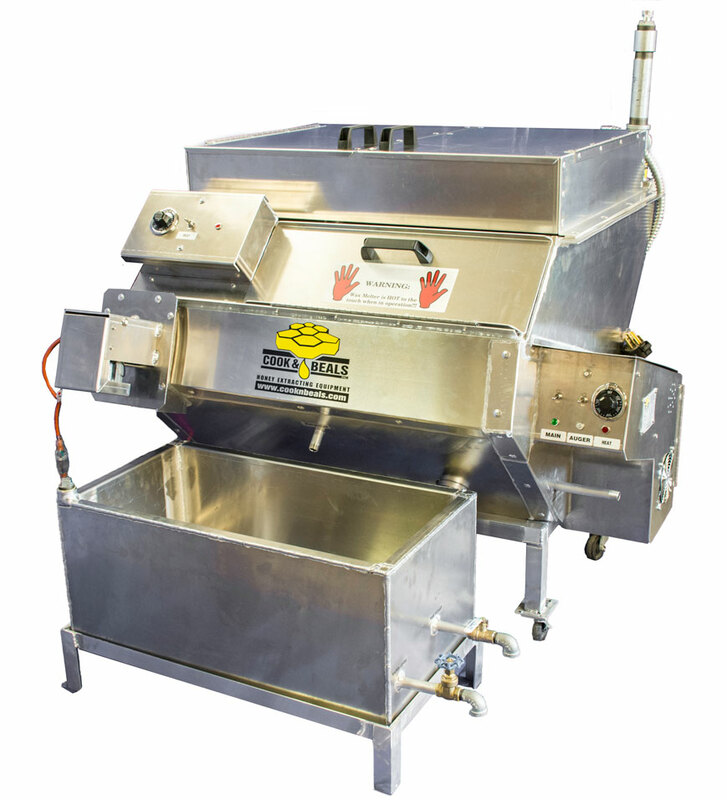 For optimum results, the Cook & Beals, Inc. Wax Melter is recommended as a companion to the Cook & Beals Spin-Float Honey Wax Separator, which is capable of separating up to 99% of honey from the wax. Requires ~30 gallons of vegetable-based oil for combined main rear tank (~21 gal), and auxiliary tank (~9 gal). ** We recommend using vegetable-based oil in both the rear and auxiliary tanks. We also recommend replacing the vegetable-based oil in both tanks between every 3-5 years to prolong life of the equipment.